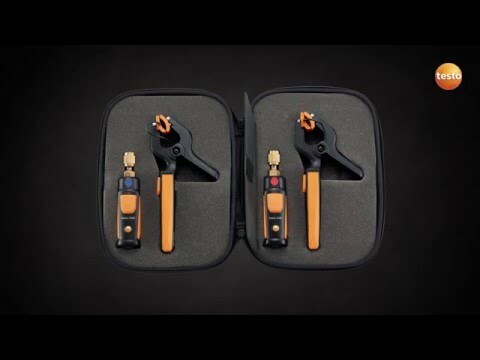 Smart Probes AC & refrigeration test kit | Prestadores de Serviços | HVAC-R | Grupos-alvo | Instrumentos Testo S.A. 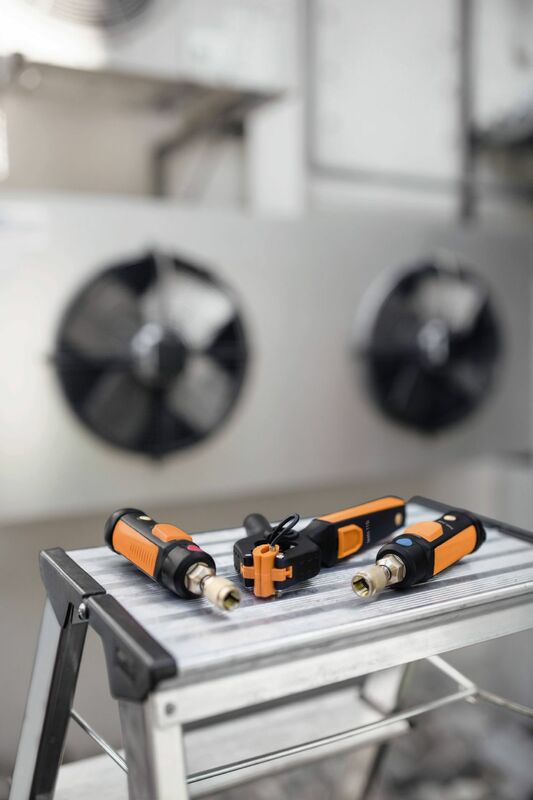 This compact and easily transportable kit contains the most important measuring instruments for refrigeration engineers: the testo 549i high-pressure measuring instrument and the testo 115i clamp thermometer (two of each), along with a testo softcase for up to 7 further testo Smart Probes. The measuring instruments can be connected quickly and easily to your smartphone or tablet via Bluetooth®. This means they enable the App-controlled testing of heat pumps, refrigeration and air conditioning systems. Operation of the measuring instruments is not only state-of-the-art, but also intuitive. 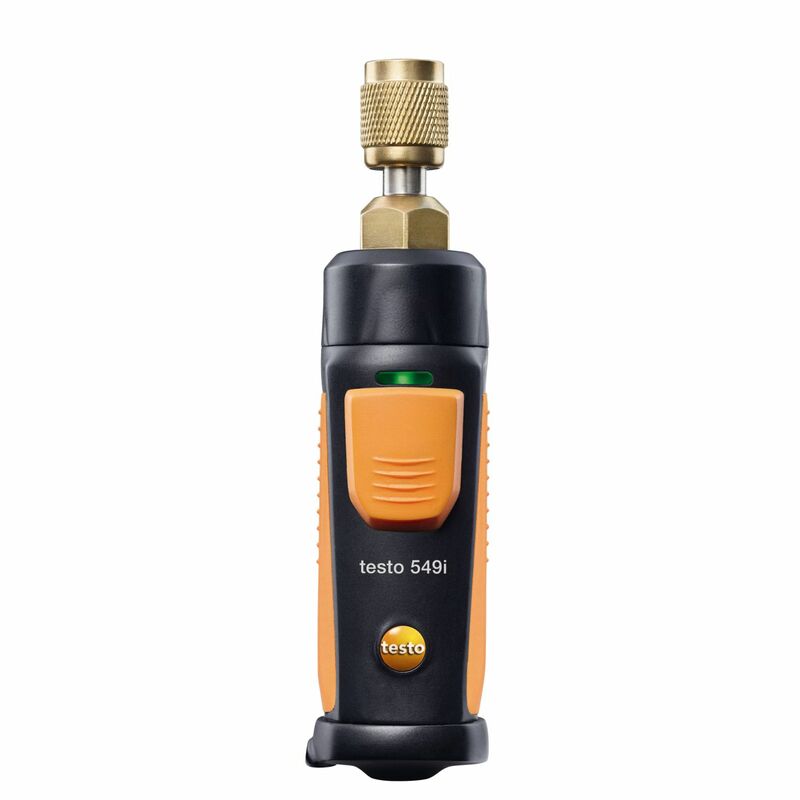 Because both the testo 115i and the testo 549i can be quickly and easily fitted directly onto the temperature measuring point or pressure connection. They also make it considerably easier to work on measuring points that are a long distance apart, thanks to Bluetooth connection to a smartphone or tablet. Also practical: no hoses are required for measurements, meaning that only very little refrigerant is lost. 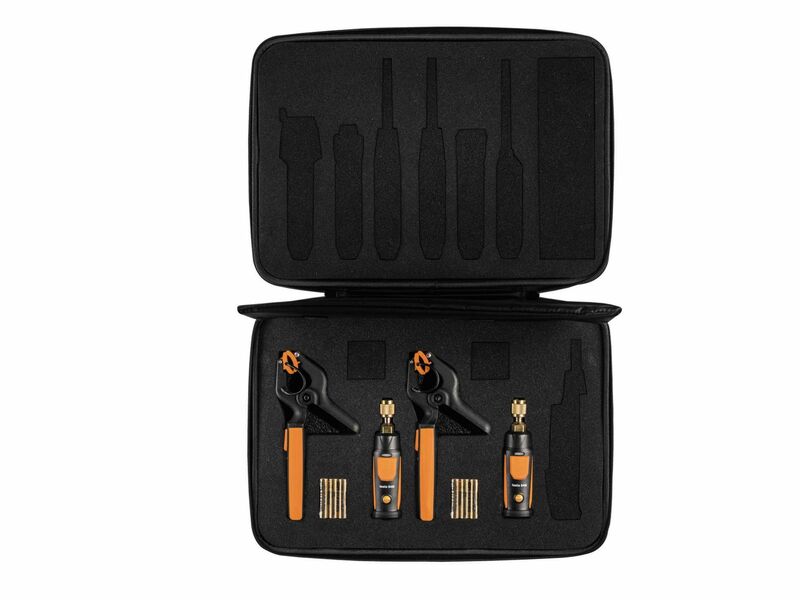 You can comfortably transport up to 11 testo Smart Probes in the large testo HVAC softcase, and they are always to hand when you need them. 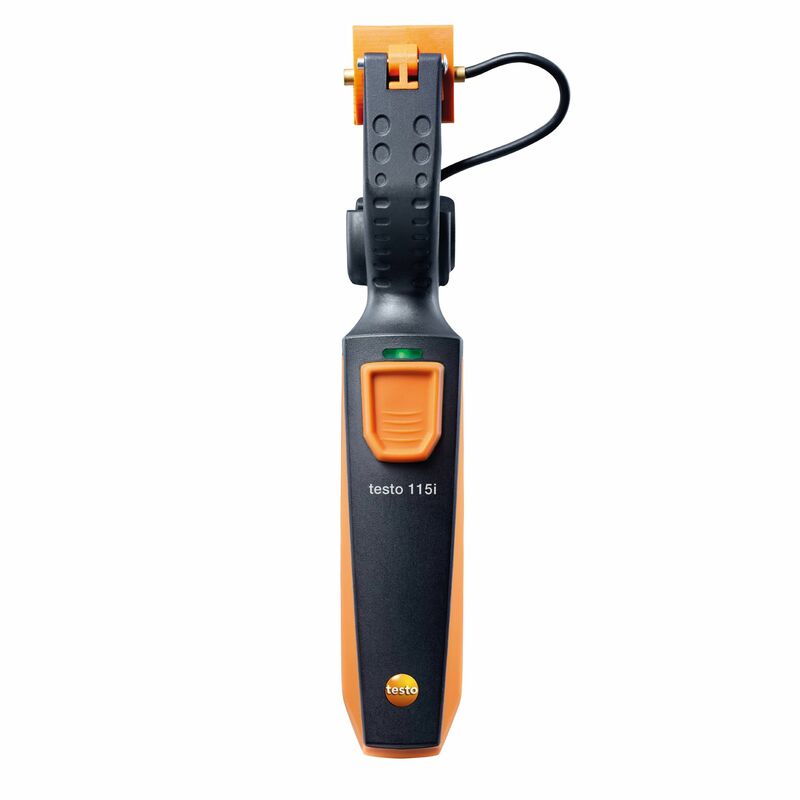 Measurement data is transmitted via Bluetooth from the measuring instrument to the testo Smart Probes App and can be read out conveniently on mobile terminal devices – either as a diagram or in table format. In addition, the App offers practical functions, such as the automatic calculation of superheating and subcooling, or the calculation of the cooling or heating output of more than 80 refrigerants. Finally, the measurement data report can be sent directly by e-mail as a pdf or csv file (e.g. with Excel). This saves you time, allowing you to further increase your efficiency.